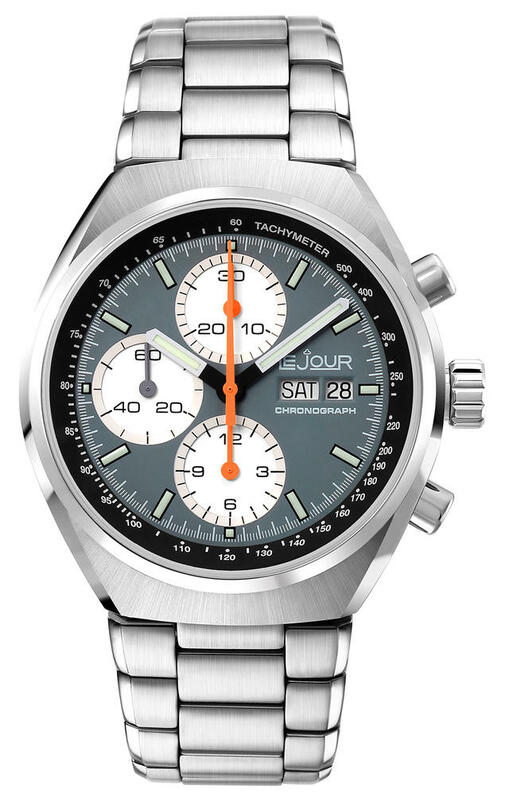 Le Jour, formerly a French watch distributor as well as a retailer of Heuer-made chronographs, is known today for its 1960s-1970s mechanical chronographs, many of which featured original Valjoux movements. The watches were sought after by collectors due to their comparably affordable pricing, durability and designs inspired by auto racing, sailing, yachting and aviation. Like many similar brands, Le Jour (French for ‘the day’) didn’t survive the quartz revolution of the 1980s and faded to obscurity. But the name lived on among a few collectors as a brand remembered for professional quality at attainable price points. 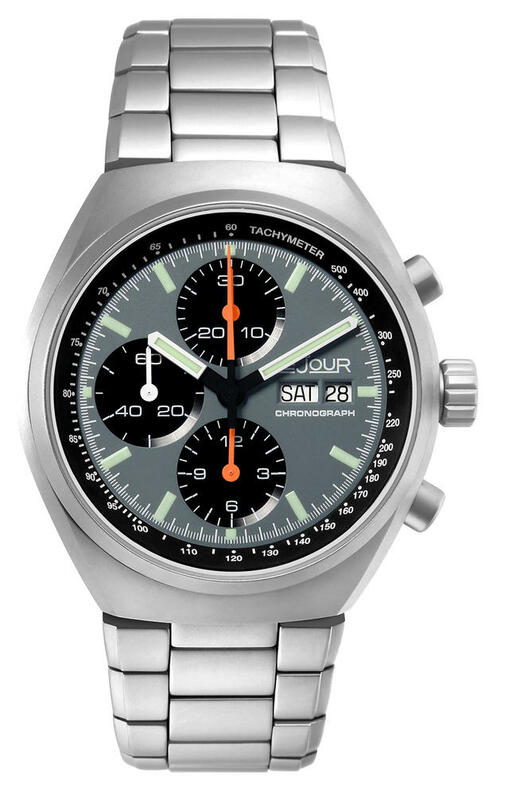 Now that the market for strong mechanical watches has resurged, the brand has been reborn. 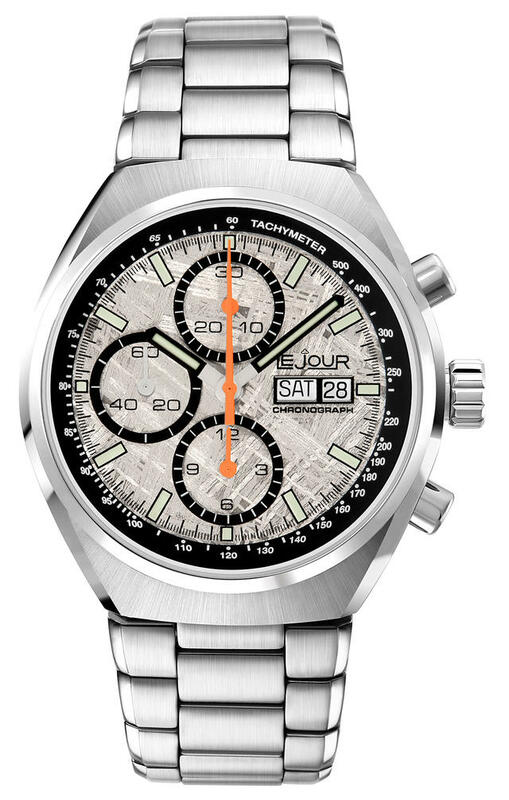 And while the new Le Jour utilizes ETA Valjoux chronograph movements, the dial no longer bears the Swiss Made label. All the current models are clean, professional chronographs using ETA 7750 caliber and top-quality integrated and hand-polished bracelets. The 42.5mm stainless steel watches incorporate anti-reflective sapphire crystals and 200-meter water resistance. Several offer variations including black PVD coating and, on one model, an unusual meteorite dial. Prices start at $2,000. 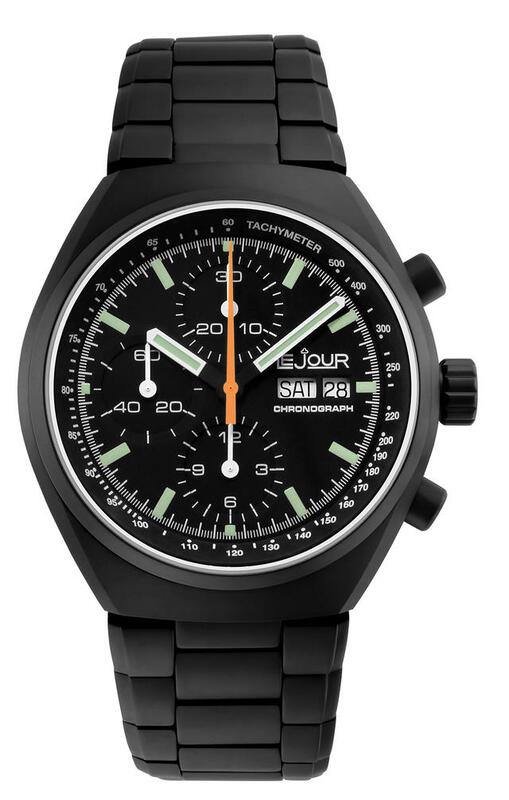 Find our more soon at bernhardtwatches.com, or write directly to Fred Amos at Lejour@bernhardtwatch.com.